Would you like to know the best way to function at your maximum performance level and be able to prioritise and manage your tasks (maybe even your entire day)? Well, your own body might have the answer. In short, the Circadian Rhythm is a sort of internal clock, controlled mainly by the hypothalamus, which is the part of the brain that controls many things, such as your hormones, temperature, appetite, sexual behaviour and emotions. This internal biological clock is reset every day by sunlight, and is different for each person, although its main function is exactly the same for all of us: to regulate the periods of sleepiness and wakefulness during the day. So, this is the clock that tells you which part of the day you are more alert and which part you’ll find your energy levels lower and you feel more sleepy. Because the circadian rhythm likes regularity, it functions at its best when you follow routines: going to bed at the same hour, eating at the same time each day etc. This is why you might feel uneasy when you disturb this rhythm (for example, travelling abroad and dealing with jet lag). When we talk about chronotypes, we are referring to the manifestation of the circadian rhythm, in the form of personal behaviour. Even though it is passed through the PER3 gene and therefore its origin is genetic, it might change over the years due to a number of reasons such as age, environment and hormones. A more common classification describes people as either larks or owls, larks being the people that perform best in the mornings, and owls being the ones that are more alert in the evening. Larks and owls can be differentiated, not just by sleeping patterns, but also by other behaviours and needs, such as appetite and exercise. So, how can we adjust our daily performance for optimal business productivity in relation to these chronotypes?  Then the third column is for notes. If a task falls into both groups, you simply repeat the task in both columns and add a note about the aspect that you will tackle, specifically, during each part of the day. Top Tip: For example, writing an article might require creativity (mainly with regard to the idea but also the writing), lots of research about the topic and of course, proofreading. Each one of those tasks would fit into a different column. For example, writing an article might require creativity (mainly with regard to the idea but also the writing), lots of research about the topic and of course, proofreading. Each one of those tasks would fit into a different column. Dr Breus and the question of “when”. Dr Michael Breus, a psychologist and sleep specialist, described 4 different chronotypes following different structures but based on mammals. Mainly because we – humans – are not birds. In his book, The Power of When, Dr Breus highlights the fact that our ancestors were deeply connected to their bodies, knowing when to perform certain acts like hunting, cooking or procreating. Daylight and night time were perfectly distinguished as well. Later on, civilization imposed its own rules and now, the modern era sees us doing all kind of activities in a perpetual “night”, with artificial lights, in front of all sorts of monitors. Let’s take a brief look at the four chronotypes and their relationship with periods of alertness and drowsiness. Dolphins: they wake up feeling fatigued and in fact, they can continue to feel tired late into the evening. They are totally alert late at night and might even suffer from insomnia. Their productivity ebbs and flows throughout the day. Lions: they wake up early and do not feel tired until the late afternoon. They can fall asleep pretty easily and they are more productive in the morning. Bears: they are slow risers as they do not wake up feeling fresh and awake. They tend to feel tired by the evening. Their productivity peaks before noon and they feel most alert from mid-morning to the early afternoon. Wolves: they are evening types, so waking up in the morning can be a difficult task. They don’t feel tired until midnight or even later, so it’s in the late evening that their productivity is at its best. 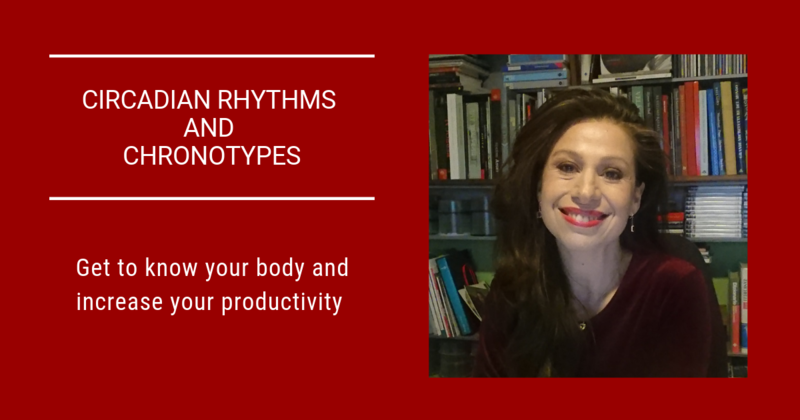 Let’s take a look at the ideal routine for each chronotype, according to Shana Lebowtitz’s chart published on Business Insider and based on Dr Breus’ book. But, what happens when your schedule and your chronotype cannot sync? Let’s say you are a wolf, and your work (a well paid and interesting job) requires you be at the office by 8 a.m.
Well, you force yourself to adjust. Knowing your internal rhythm can help you to alleviate the burden and make the most out of the situation. If you are curious about how Emotional Intelligence, Gestalt and other proven and tested approaches from psychology and neuroscience can effectively benefit your business, book a free 15-minute consultation with me. 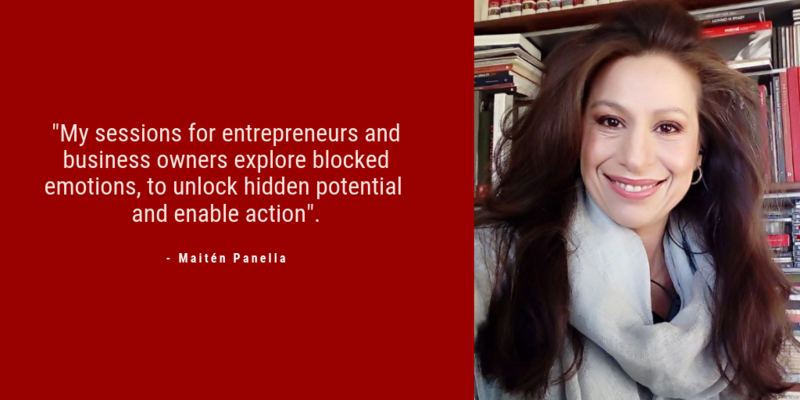 Maiten Panella is a Psychologist specialized in Gestalt. She has worked for almost 20 years in Branding, Communications and Marketing. She combines techniques from Emotional Intelligence, Gestalt and other psychological theories to coach business owners and leaders.